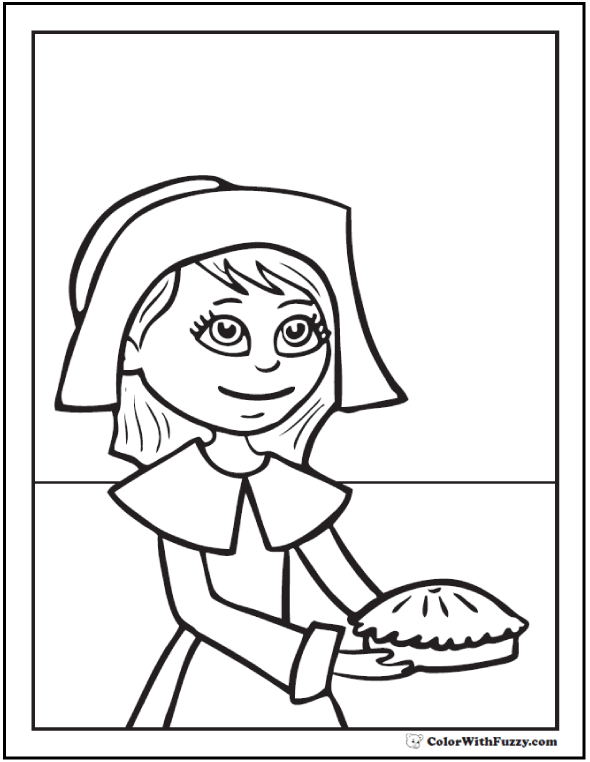 Fuzzy has a lovely pilgrim coloring page of a lady with a pie. Happy Thanksgiving or history theme. Print the customizable PDF pilgrim coloring sheet here.